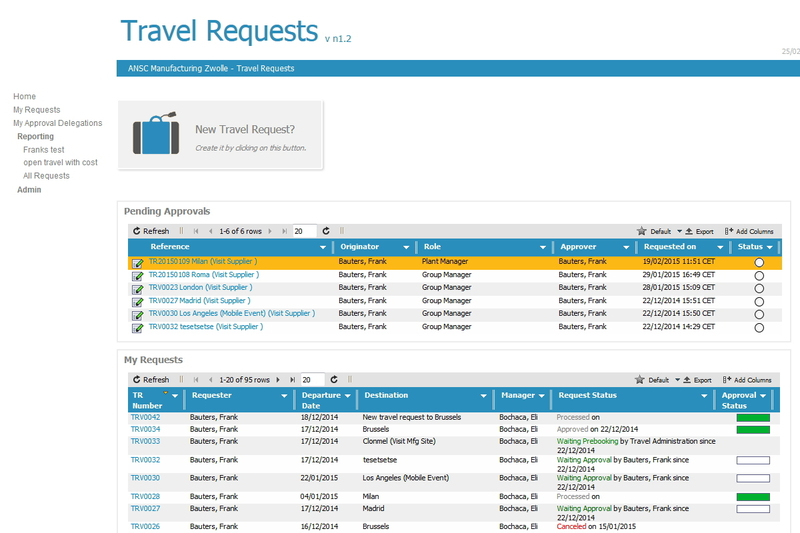 Travel Request is a web application for managing the request and approval of employee travel . 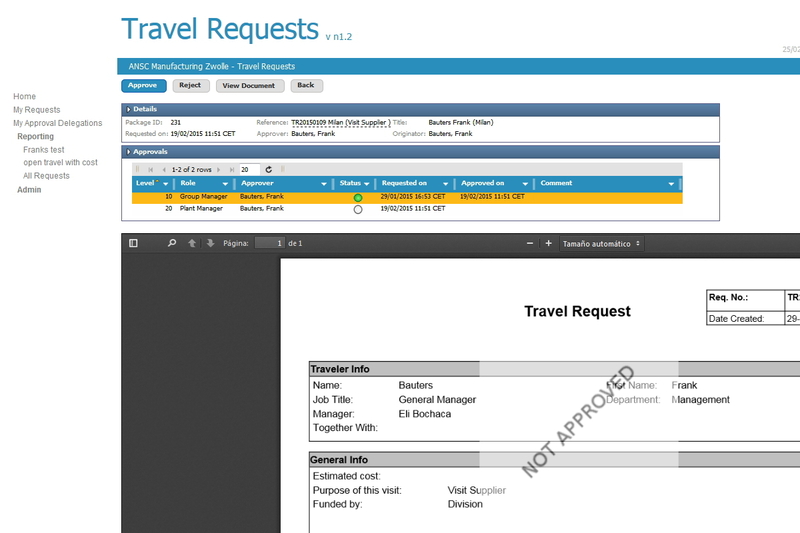 The application provides a form with all required details, tickets, hotel reservations, travel by train, plane, etc. purpose of travel and related project application prepaid expenses, etc., A PDF is generated which will be submitted for approval.